Michael J. Lucov Sr., 90, of Greensburg, died Wednesday, Nov. 28, 2018, in Excela Health Latrobe Hospital. He was born Dec. 11, 1927, in Perth Amboy, N.J., a son of the late Michael and Anna Harmyk Lucov. Michael was a retired plant manager for the former Carborundum Co., Latrobe. He was a member of Our Lady of Grace Church and was the first non-Italian supreme officer of the Hilltop Club. He enjoyed bowling, golfing, hunting and fishing with family and friends. 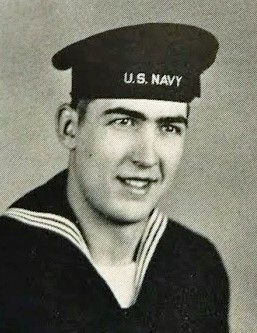 He was a veteran of the Navy, having served during World War II. He is survived by his loving and devoted wife of 69 years, Dorothy A. Shultz Lucov; two children, Kathleen Leaf, of Derry, and Michael J. Lucov Jr. (Ruth), of Herminie; five grandchildren, Robin A. Gallagher (James), James M. Leaf, Zachary J. Lucov, Katherine B. Kleyn (D. J.) and Sarah E. Lucov; seven great-grandchildren; two brothers, Robert Lucov (Bernice), of Barnegate, N.J., and Gary Lucov (Marlyn), of Hobe Sound, Fla.; and several nieces and nephews. Relatives and friends are invited to celebrate the life of Michael from 4 to 8 p.m. Friday in the CLEMENT L. PANTALONE FUNERAL HOME INC., 409 W. Pittsburgh St., Greensburg, PA 15601, 724-837-0020. Parting prayers will be held at 9:30 a.m. Saturday in the funeral home, followed by a funeral Mass to be celebrated at 10 a.m. in Our Lady of Grace Church. Entombment will follow in Greensburg Catholic Cemetery Mausoleum. In lieu of flowers, memorial donations may be made to a charity of one's choice. Michael's family has entrusted his care to the Pantalone Funeral Home Inc., Greensburg. To share your memories and photos, offer your condolences, or for directions, please visit us at www.pantalone.com. Natale N. Pantalone, supervisor.